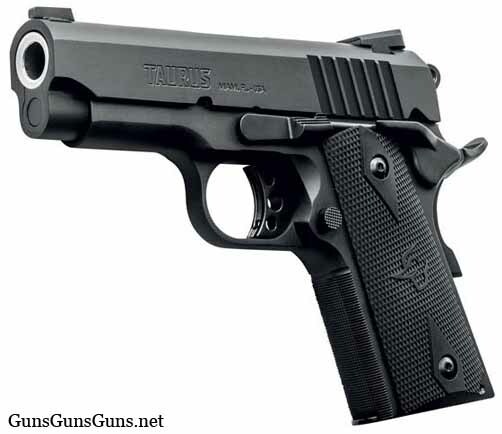 Summary: The description, specs, pricing and photos of the Taurus 1911 Officer pistol. The 1911 Officer from the right. .45 ACP 6+1 7.2″ 3.5″ 1.25″ 5.1″ 34.5 oz. The 1911 Officer from the left. 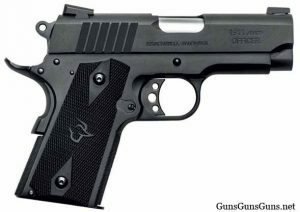 This entry was posted in .45 ACP, $501-$750, 1911, Compact, Semiauto, Taurus on January 31, 2018 by Staff.